A remastered version of Prince of Persia (1989) can be unlocked on 6th gen consoles, but not in the PC version. Russian copies use StarForce 3 DRM[Note 2]. Extract pop.7z files to the installation folder (password: pop). Edit pop.ini to set the resolution and FOV multiplier. Supported exe size: 4 280 320 bytes. Download and run DxWnd as administrator. Set name to Prince of Persia - The Sands of Time. 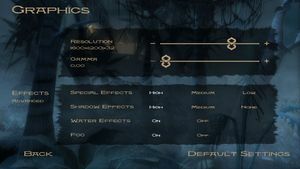 Use Peixoto's patch to disable the blur shader. Use 3D Vision fix to disable the low resolution distortion effect as well as the bloom effect. Supports Mouse4 and Mouse5 buttons. XInput controllers have sensitivity issues. See Issues fixed. Available as a patch from the local publisher. Retail only for digital release see. 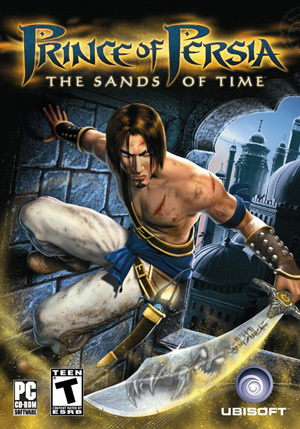 See Helix Mod: Prince of Persia: The Sands of Time. 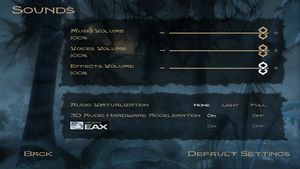 When the Water effects graphics option is enabled, water does not render on certain modern systems, such as those employing Intel HD Graphics. Disabling the setting is a working—albeit sub-optimal—solution. 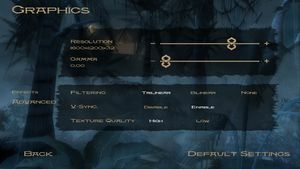 The game has sensitivity issues with diagonal input for XInput controllers (running diagonally does not work because the game expects DirectInput values). 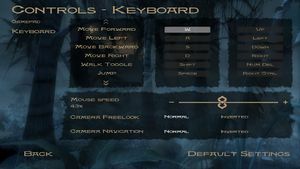 Go to "Sticks", and change the "Rect Correction" slider from "0" to "1". Go to "DirectInput" and check "Enable DirectInput Output." Assign "LT/RT" to "Button 12/13"
Press apply, this will install a DLL file in the <path-to-game> (which will be automatically used when you start the game). If pressing left stick fully forward still results in walking, go to "Sticks" and reduce Saturation in 5% increments until rectified. Fixed in the GOG.com version. Save the file, then right-click on it and select Properties. Check Read-only, and click OK.
Change the following value as noted. ↑ 4.0 4.1 File/folder structure within this directory reflects the path(s) listed for Windows and/or Steam game data (use Wine regedit to access Windows registry paths). Games with Steam Cloud support may store data in ~/.steam/steam/userdata/<user-id>/13600/ in addition to or instead of this directory. The app ID (13600) may differ in some cases. Treat backslashes as forward slashes. See the glossary page for details.